Thursday brought back-to-back looks at sequels for two iconic film franchises that will be on the Now Playing Podcast calendar in 2015. Director Sam Mendes introduced the cast of the 24th “official” James Bond film at a news conference in the United Kingdom. 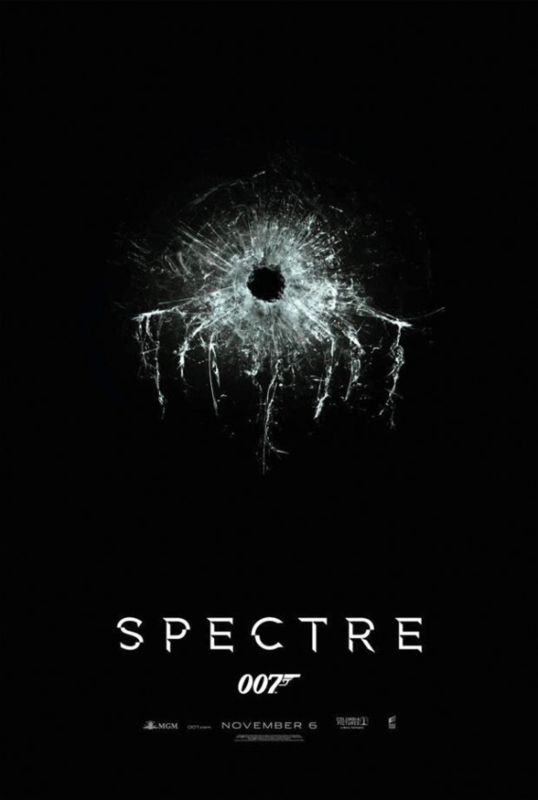 The sequel’s title, SPECTRE, was also announced, and a one-sheet for the film was released online. SPECTRE (Special Executive for Counter-Intelligence, Terrorism, Revenge and Extortion) battled Bond throughout many of the early films in the series. It’s not yet known what role the organization will play in the sequel, or if SPECTRE will have any ties to Quantum, the group introduced in 2006’s Casino Royale and exposed by Bond in Quantum of Solace. 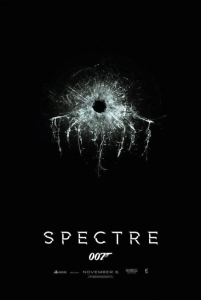 While SPECTRE is the 24th film in the Bond series, the Now Playing Podcast review will be No. 26 in our James Bond Retrospective Series. In 2012, Arnie, Stuart and Brock reviewed all of the Bond films, including 1967’s Casino Royale and 1983’s Never Say Never Again. To find out how those films fit into the Bond universe, and to hear reviews of the others, check out the retrospective at NowPlayingPodcast.com. By the way, if you want to catch up on some classic Bond, Netflix and Amazon Prime just added a handful of films from the series to their libraries. Now to Terminator: Genisys. The first trailer went online Thursday morning, and was met with a largely negative reaction on the Now Playing Podcast Facebook page. 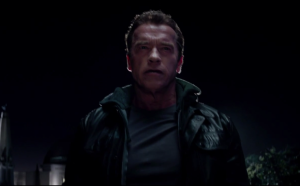 As one fan pointed out, it appears the filmmakers are taking a page from 2009’s Star Trek and attempting to reboot the series within itself, creating an alternate timeline where the Arnold Schwarzenegger T-800 has been protecting Sarah Connor for years and preparing her for the arrival of Kyle Reese and the Terminator in 1984. Judging by the early reaction, fans are ready to hate Genisys. But it’s just one trailer and a couple of really unimpressive magazine covers. There’s still plenty of time to make a better impression between now and July 1, 2015. Terminator was one of the first series’ covered by Now Playing Podcast, back in 2009 when McG helmed the hated Terminator: Salvation. It’s worth going back to that retrospective not only to hear the reviews, but also to see just how far the show has come since those early days. Arnold’s been waiting for you.